Bloody Hot Swing is dedicated to providing a fun, safe, and comfortable dance experience (this includes lessons and events) for everyone. To further these goals, all attendees, instructors, staff, and volunteers at Bloody Hot Swing lessons and events are required to comply with this Code of Conduct. Participation in Bloody Hot Swing Dance events indicates your agreement to adhere to this Code of Conduct. 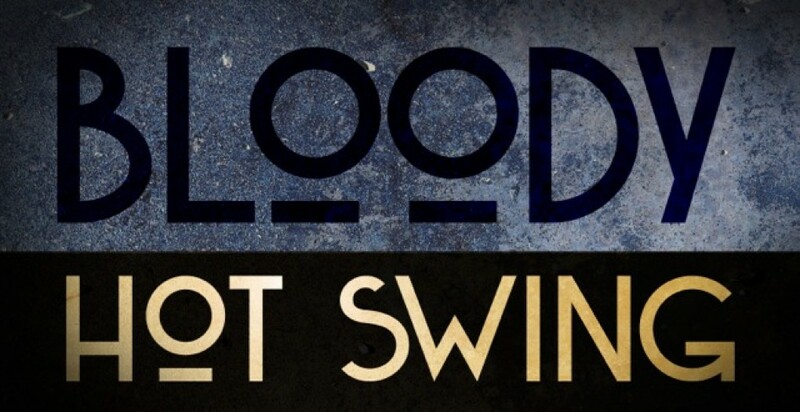 Bloody Hot Swing is dedicated to providing a safe and comfortable experience for everyone, regardless of gender, age, sexual orientation, ability, physical appearance, body size, race, or religion (or lack thereof). We do not tolerate harassment of event participants in any form. Sexual language and imagery in social situations is not appropriate for any event venue, including dances, workshops, competitions, Twitter, Facebook, and other online media. Event participants violating these rules may be sanctioned or expelled from the event without a refund at the discretion of the Bloody Hot Swing Teachers or Event Organizers. *Don’t give unsolicited dance feedback, or teach during the social dancing part of the evening, not even if you are a dance teacher elsewhere. Workshops and lessons do sometimes facilitate the giving of feedback, but critiquing or correcting when social dancing isn’t polite, except you are asked to. *When choosing your outfit for the evening, do consider how it will function when dancing. For instance, those 20’s style tasseled dresses can loop over shirt buttons in an alarming way, watches with metal straps can catch in a partners hair, and spike heels are dangerous for everyone. Swing dancing is a physical activity, and while we very much encourage everyone to dress in their own style, and for their own comfort, it is important to consider how your clothes will hold up to movement. If you believe this Code of Conduct is being violated, or you are being harassed, please contact a member of event staff as soon as possible. Bloody Hot Swing Teachers and Event Organizers will enforce this Code of Conduct during Bloody Hot Swing events. Event participants violating these rules may be sanctioned or expelled from the event without a refund at the discretion of the Bloody Hot Swing Teachers or Event Organizers.